The Feast Day of Our Lady of Providence, Queen of the Home, is Nov. 19. We invite you to join us in this novena prayer leading up to the feast. Did you know that the word “novena” is derived from the Latin word “novem” which means nine? Hardly a surprise if you took Latin or have ever prayed a Novena, which is a devotion that consists of nine days of prayers. For those who may not be as familiar with this practice, each day is used to ask or petition for special graces or favors. When you pray a novena before a feast day it is a time to ask that particular saint to be your prayer companion and intercede on your behalf. On Saturday, Nov. 19 we will celebrate The Feast of Our Lady of Providence, Queen of the Home, with a Eucharistic Liturgy at 11 a.m. in the Church of the Immaculate Conception at Saint Mary-of-the-Woods. This year there will also be a special blessing for families. All are welcome to attend. To get started here is the first prayer. the laity and for vocations to the priesthood or religious life. 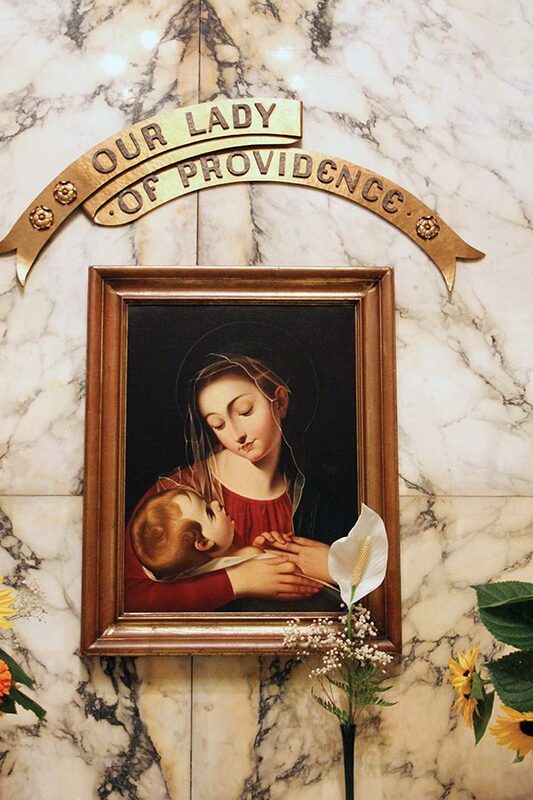 Click here to find the full set of novena prayers for the Novena to Our Lady of Providence. The National Shrine of Our Lady of Providence is located in the Church of the Immaculate Conception at Saint Mary-of-the-Woods. All are welcome to visit. To learn more about the Our Lady of Providence National Shrine, contact Sister Mary Rita Griffin at 812-535-2927 or mgriffin@spsmw.org. Mary Riley is the marketing manager for some ministries of the Sisters of Providence including White Violet Center for Eco-Justice and the Volunteer Services.